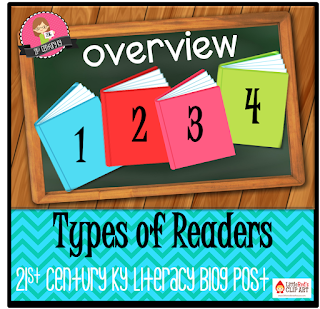 Let's talk about the third of the 4 Types of Readers! 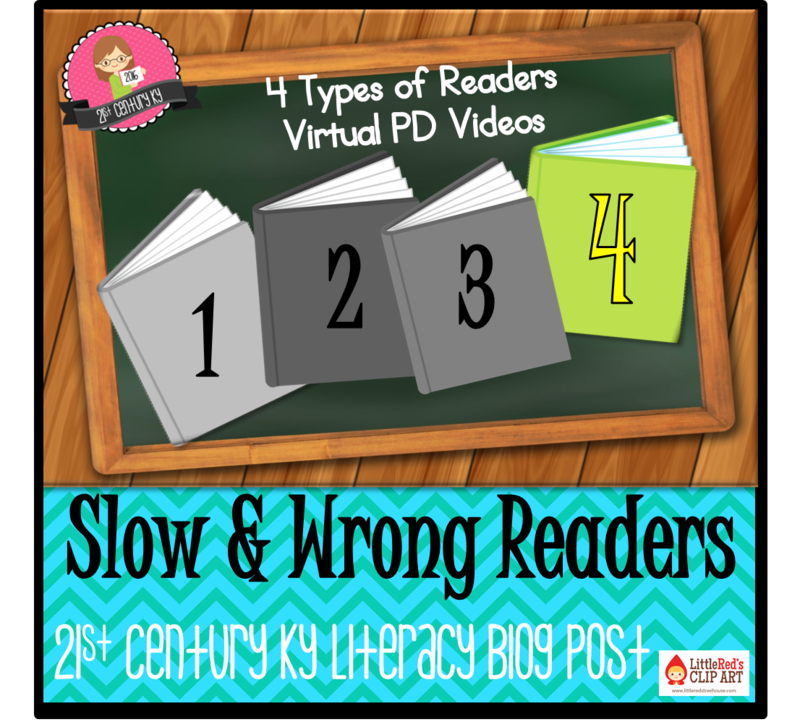 In this Session we will look at "Slow & Wrong Readers." These readers are behind grade level in both fluency and accuracy. How might we build on those strengths to design their small group reading instruction? Print your FREE note-taking form and watch my video below! 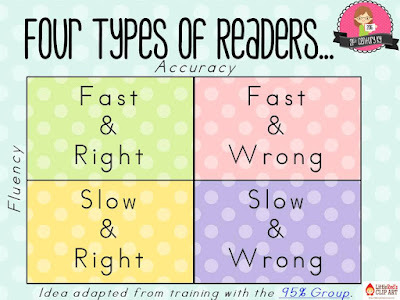 Using a student's Fluency (fast or slow) and Accuracy (right and wrong) rates when reading a grade level passage, it's easy to sort your students into four distinct groups for guided reading instruction. 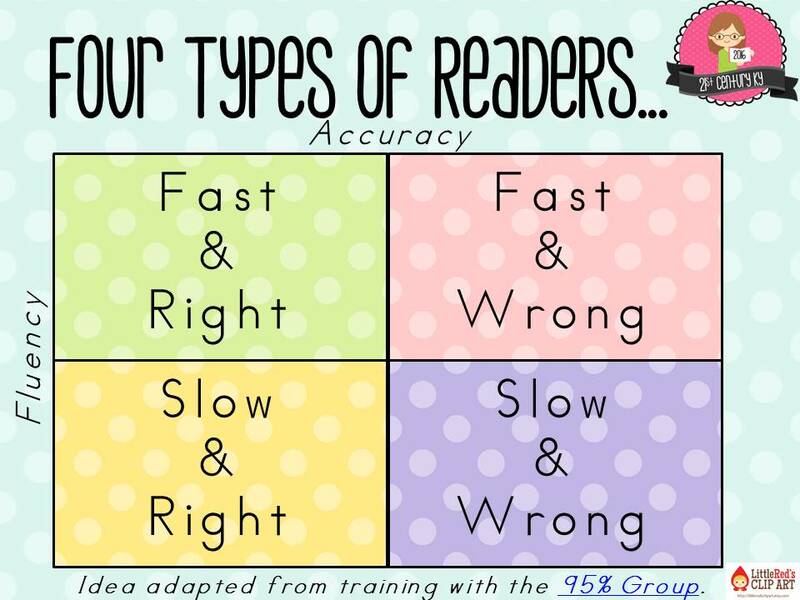 After I learned about this way of sorting students at a wonderful training with the 95% Group, I started thinking about what my instruction might look like for each type of reader. 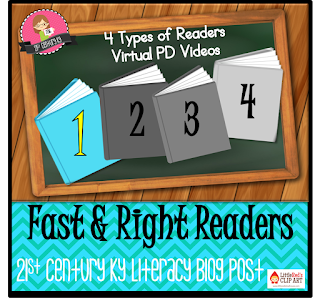 In this Virtual PD video series we will explore the four types of readers, their characteristics, their strengths as readers, and the implications on their instruction. Before starting this Virtual PD be sure to download and print this FREE Handout for note taking! Let's talk about the third of the 4 Types of Readers! 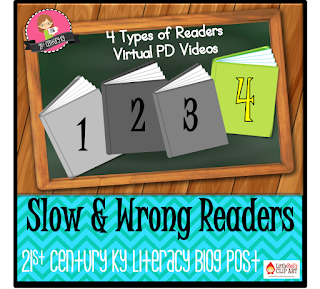 In this Session we will look at "Fast & Wrong Readers." These readers are benchmark for fluency and below benchmark for accuracy. How might we build on those strengths to design their small group reading instruction? Print your FREE note-taking form and watch my video below! 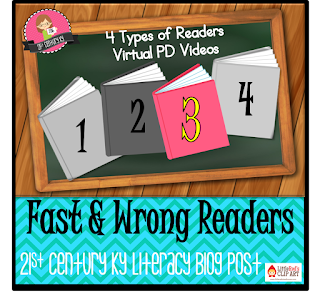 Let's talk about the second of the 4 Types of Readers! In this Session we will look at "Slow & Right Readers." These readers are benchmark for accuracy and below benchmark for fluency. How might we build on those strengths to design their small group reading instruction? Print your FREE note-taking form and watch my video below! It's time to dive in and explore the 4 Types of Readers! In this Session we will look at "Fast & Right Readers." These readers are benchmark for fluency and accuracy. How might we build on those strengths to design their small group reading instruction? Print your FREE note-taking form and watch my video below! 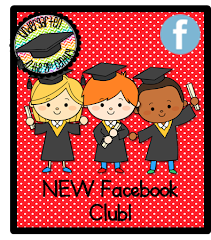 Are you ready to start guided reading groups, but still feel uncertain as to how to sort your students... even with all that beginning-of-the-year-data? We've all been there!